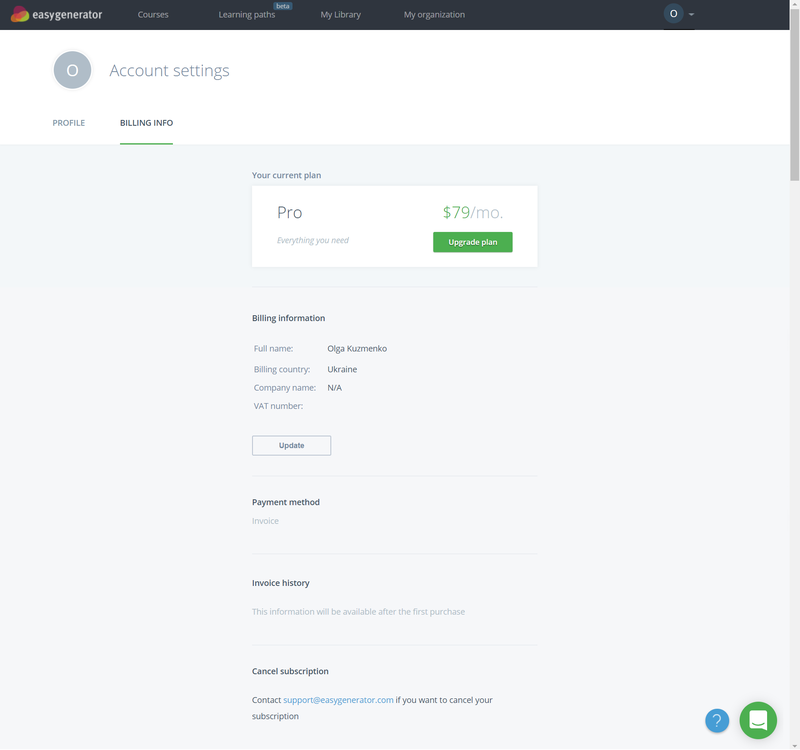 Here's how you can change your name, billing info, see invoice history, cancel the subscription and delete your account. 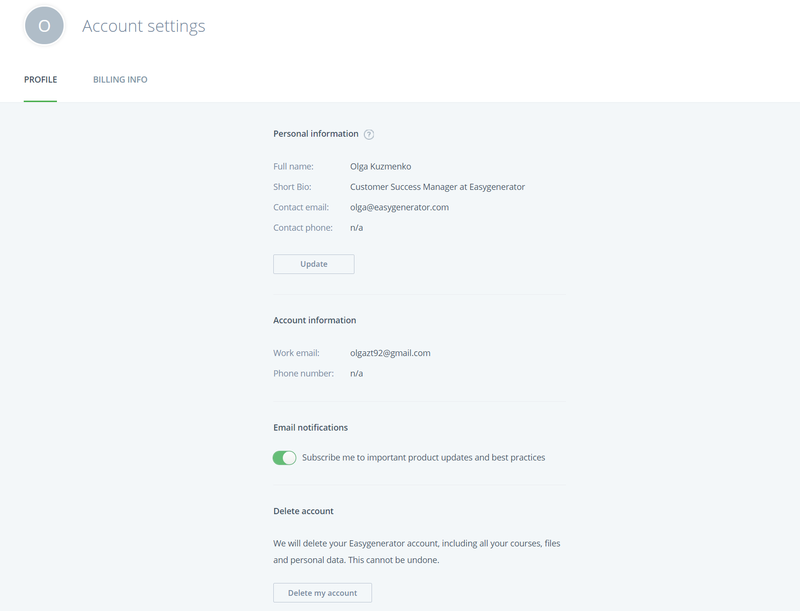 Under Account Settings you can manage your account. On the Profile tab you can change your name, add bio, opt to subscribe for the product updates and delete your account. On the Billing info tab you can update your billing info and see invoice history. Here you can also upgrade or cancel your subscription.